These stamps are be used mark your products with your logo. The stamp can also be sued for other materials like wood etc. 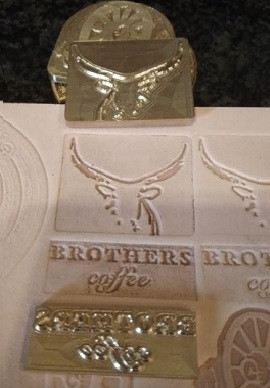 The stamps are made of brass and depending on how you would like to use the stamp comes with a handle that is appropriate for the application in which it will be used. 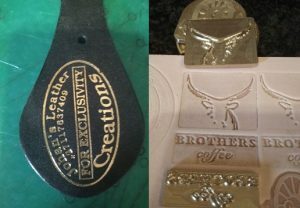 This could be for normal stamping on leather, embossing, hot foil and hot stamping.